Switchcraft CM-9625 TT Patchbay TT-DB-25 Patchbay with Half-normal, Full-normal, or Non-normal Operation. Consignment. 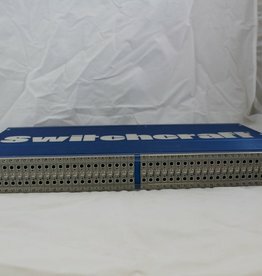 Switchcraft CM-9625 TT Patchbay TT-DB-25 Patchbay with Half-normal, Full-normal, or Non-normal Operation.